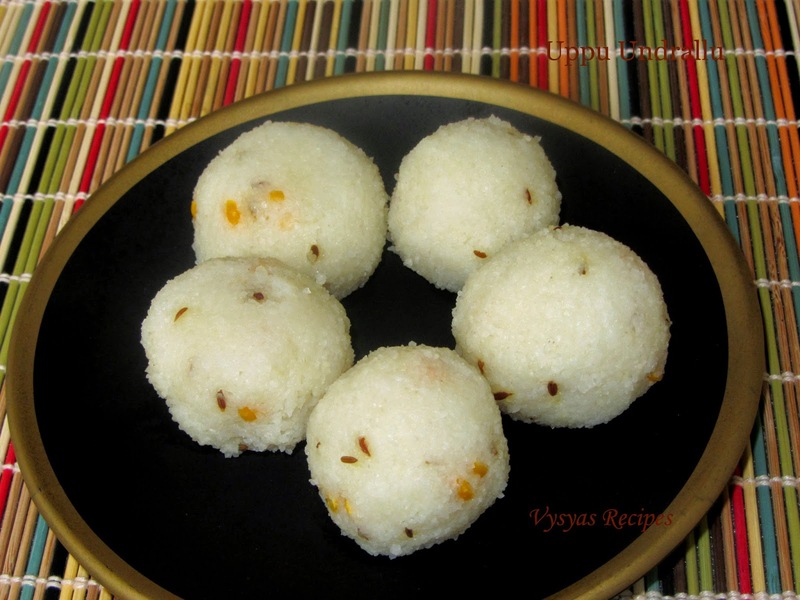 Undrallu(Upma kozhukattai) is made with Rice Rava. 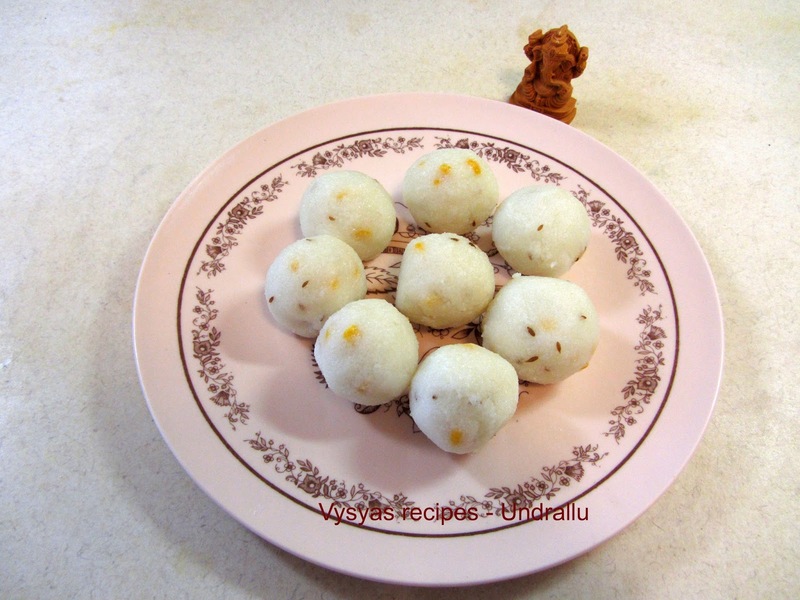 It is a Ganesh Chaturthi recipe.This recipe is made in most of the Andra homes during Vinayaka chavithi.Recipe is simple.Even the bachelors and busy Women can try this recipe.We can also have as a tiffin or breakfast recipe. 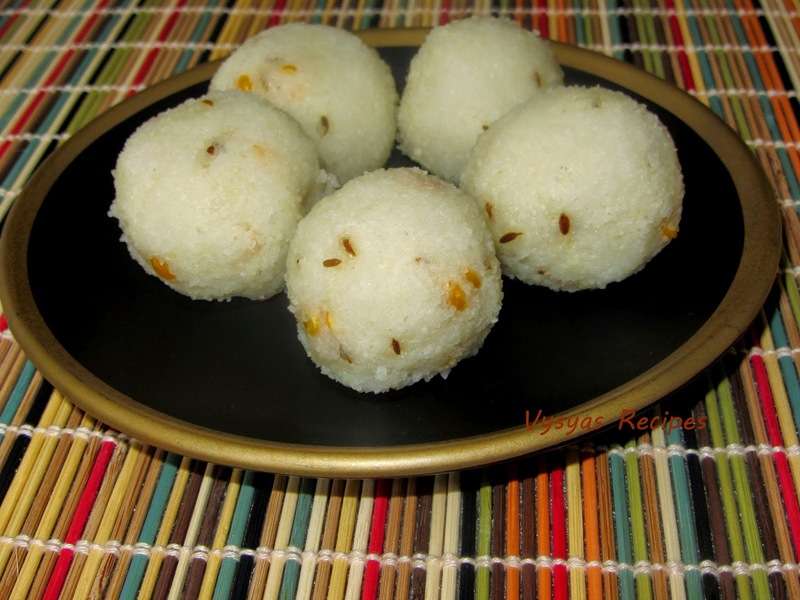 Rice rava - 1 cup. Heat the ghee, in a kadai, throw cumin seeds, when it sizzles, add water, chanadal and salt. When water starts boiling, add rice rava, and stir well, till it becomes thick as shown in the picture. Divide the dough into equal portions and make lemon sized balls , dip your hands in between with water.Steam it for 12 minutes. Then offer it to Lord Ganesha as Prasadam. Thanks for visiting my blog. If you find this page helpful please share in google+,facebook or twitter or to any social Networking sites, where you use to surf. Thank you very much.